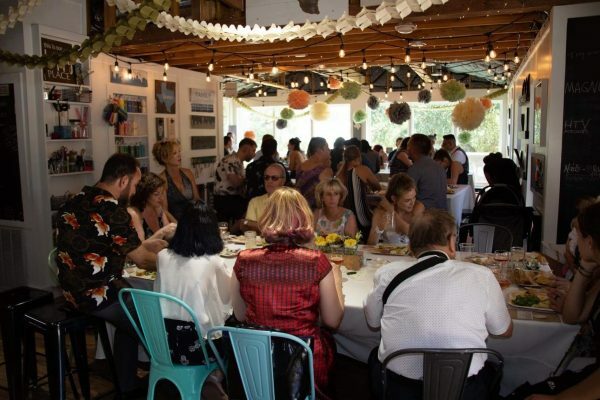 We love Weddings at the Craft Lounge. We have been fortunate enough to host a wedding in August under our fabulous oak trees at the front of the studio. 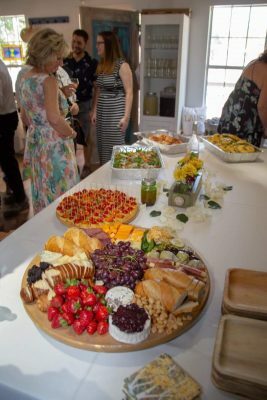 We can accommodate up to 50 guests but are happy to host a smaller or more intimate event. Dripping Springs is the Texas capital of weddings but if you are looking for the small and something unusual we have the place for you. We have 5 large tables, extra chairs and stools inside. You will need to provide linens and all of your decorations. We can recommend local caterers and florists. We have a full kitchen and restroom. The front yard is also at your disposal and has some shade under the mature trees. Ample parking for guests. Prices start at $950 for the the day. Please contact us for more information. 512 961 6101.